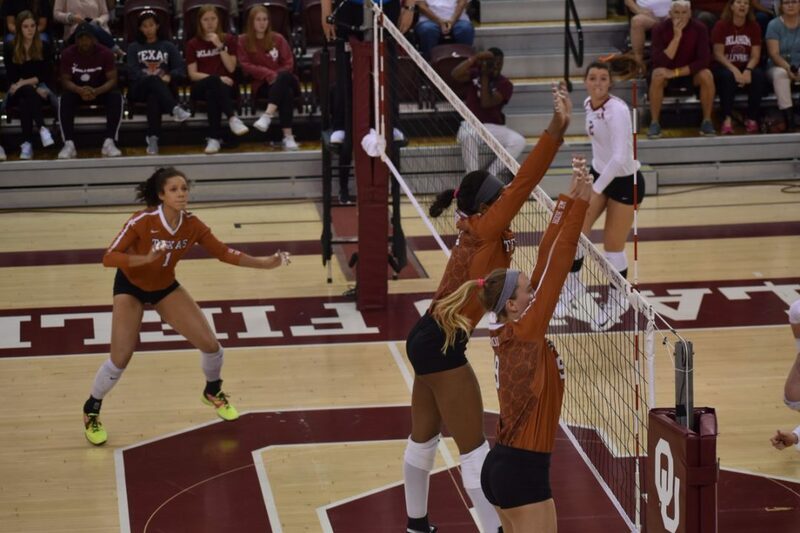 The 2018 Big 12 Volleyball Preseason Poll, voted on by the coaches, is out and to not much of a surprise the Texas Longhorns are the early pick to win the league. The only other team to earn first-place votes was Baylor. Coaches are not allowed to vote for their own team, so it’s impossible for one team to receive all nine votes. Therefore, receiving eight would be ‘unanimous’. However, one other coach decided to pick Baylor in the poll along with Texas head coach Jerritt Elliott. Nonetheless, the Longhorns – who went 16-0 en route to a conference championship in 2017 and return three starters – are the team with the highest expectations. In the Way-Too-Early 2018 VolleyMob Top 25 Power Rankings, the pecking order of top three reflects exactly what the coaches voted on. Texas comes in at #6 with Baylor at #18 and Iowa State at #22. After that is Kansas, who could take a bit of a step back after being one of the league’s top contenders the past several years. They lost plenty of talent from last year’s team, but in a league that appears wide open four through nine, could rack up wins to still make the NCAA Tournament. The rest could all be dark horses and it wouldn’t be all too surprising to see a shuffling of any of the teams five through nine. Specifically for Kansas State and TCU, they each appeared in the NCAA Tournament in 2016 and after a down year will look to build back toward that. In terms of the projected bottom three, they still should have hope. West Virginia took a huge step forward last year but lost stud outside hitter Payton Caffrey to Florida State via transfer. Oklahoma made some big moves in the offseason and Texas Tech made marked improvement last year.